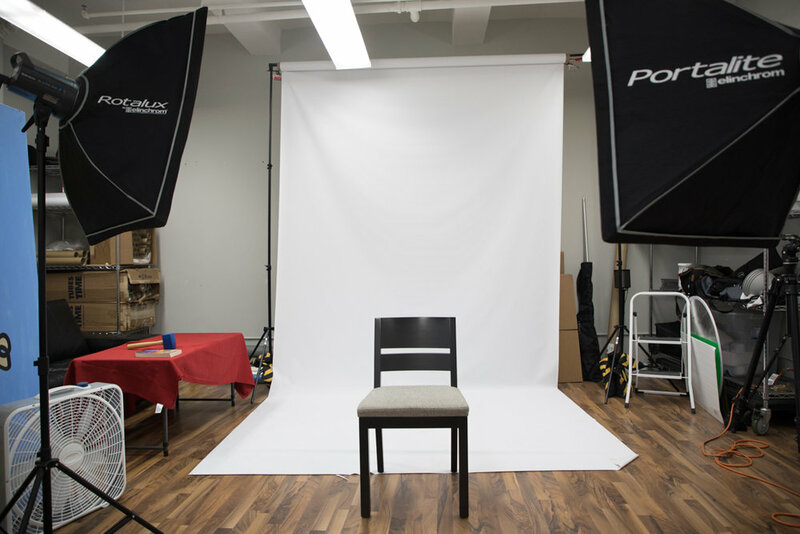 Our studio provides the perfect professional space that helps you get your shoot done right. On time and on budget. It’s an environment that allows you to concentrate on your work, not extraneous issues. Every shoot will include a member of our team as support staff, experienced photographers on hand to address any issues you may have. Rentals are available at hourly, half day (4 hours), or full day (8 hours) rates. The space includes a working digital print shop, but is readily available as a completely closed set. we can help you get what you need done. Every shoot will have a member of staff who are all experienced photographers on hand to address any issues you may have. Rentals are available by hourly, half day (4 hours), or full day (8 hours) rates. The space is also a working digital print shop but talk to us if you prefer a completely closed set. for an on the immediate quote! Reservations are secured with a 50% deposit collected at the time of booking. Reservations should be made 1 week in advance. Booking deposit is refundable up to 72 hours before shoot date. Deposits on shoots less than 72 hours in advance are non-refundable. We have an assortment of Canon 5D cameras and L Series lenses available upon request. Additional equipment rental services also available.